Deep Sea Fishing Charters Clearwater, FL - Catch the Monsters of the Deep! Below the sparkling waters of the Gulf, your big bruiser is waiting to take your bait--hook, line, and sinker. Our experienced fishing charter captains know just where to go for the in-season game, and will make sure you got off the boat with more than just a fish tale. 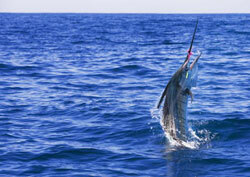 When you book a deep sea fishing charter with Monster Charters, everything is included. All you need to bring is your thirst for adventure, and maybe a little sunscreen. 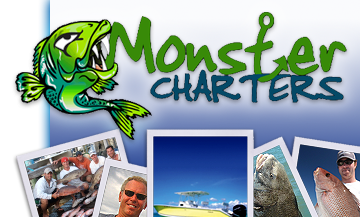 Contact Monster Charters today to book your next Clearwater deep sea fishing charter.